Top 10 Expectations from Union budget 2011-12! It’s back to February, the month of Union Budget – a blueprint for the allocation of finances for the ensuing year; and the ways and means of getting towards it. Though, this important document is framed in utter privacy starting few months well in advance, the long-drawn process starts with pre-budget consultations with representatives of different group of stakeholders like industry, trade unions, economists, etc. to over-come various business hurdles and develop new policy frameworks. Even as we decide to dig deep into the expectations of the industry and aam-aadmi building from the Union Budget 2011-12; there is still a question mark as to how swiftly the Budget session will move forward from the logjam over opposition’s demand for setting up a JPC probe into 2G-spectrum allocation scam. 1.1 1) Indian Railways – The Bleeding Tooth! 1.2 2) Inflation – The Burning Reality! 1.3 3) Income Tax Exemption – Yeh Dil Maange More! 1.4 4) Fuel price Deregulation – Slow and Steady wins the Race! 1.5 5) Social sector Spending – Amount B/f from Disinvestment A/c! 1.6 6) Retail FDI – Time to tighten Supply Chain! 1.7 7) Excise and Service Tax Cut – Status quo Requested! 1.8 8) Infrastructure – Work in Progress! 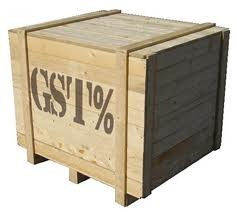 1.9 9) Delay in GST Implementation – No Consensus Yet! 1.10 10) Education – Learning is the way to Growth! 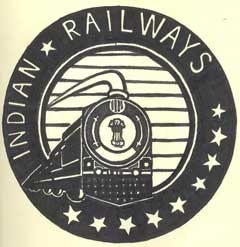 1) Indian Railways – The Bleeding Tooth! Just few years back, we saw how Lalu Prasad Yadav orchestrated a financial turnaround of the Railway department without hiking passenger fares. However, under Mamta Banerjee’s leadership, the profitability of Indian Railways just could not keep up the tempo. Estimates suggest that Railways could miss their target for 2010-11 ahead of the coming Rail budget. For the 9-month period April to December 2010, Railway’s earnings have suffered a setback of Rs. 4000 crore mainly driven by negative impact on its freight earnings and losses in passenger earnings on account of escalation of Naxal activities in many states. On the back of worsening scenario of its operating ratio, the cash-strapped Railways has asked the finance minister to double the gross budgetary allocation to nearly Rs. 39,600 crore to support project initiatives such as modernization of railway infrastructure and augmenting passenger services. The big question is will Railways suffer a loss this time around? 2) Inflation – The Burning Reality! Inflation is all over the place and now we might find its mention across the policy decisions to initiate corrective measures – be it monetary policy, use of sophisticate farming techniques or even budgetary policies framed to tame increased pricing pressures. In commitment towards controlling high double digit food inflation, Pranab Mukherjee might well unleash some crucial measures in this Budget including opening up of more procurement and distribution centers for food grains, promoting greater investment in agri infrastructure and increased expenditure on irrigation in a bid to enhance overall farm sector productivity. 3) Income Tax Exemption – Yeh Dil Maange More! Need to confess that FM Pranab’da has done well in gradually extending the tax brackets for the aam-aadmi over the last few years. But, we, the people, always have higher expectations. Moreover, the higher tax-exemption limit has irrefutably brought added tax revenues to the exchequer as it discourages suppressing of unaccounted money. While the lowest tax bracket at 10% under the DTC regime aims to envelope Rs.2-5 lakh taxable income range from FY 2012-13, the current no-tax limit up to income of Rs.1.6 lakh still provides scope of improvement by another Rs.20, 000 at the lower end income group. 4) Fuel price Deregulation – Slow and Steady wins the Race! Last year, the UPA government deregulated the petrol prices in a bid to shrink the country’s fiscal deficit and help oil marketing companies to cut losses on selling fuel at subsidized rates. How about setting free of diesel price controls now? While petrol prices are now market-determined subject to periodic revision, it is diesel which constitutes a lion’s share of fuel subsidy bills driven by demand for fuel and industrial purposes. Currently, government resorts to ad-hoc hike in diesel prices but has slowed down even on that as inflation pressures have worsened recently. 5) Social sector Spending – Amount B/f from Disinvestment A/c! Last year, government earned sizeable one-time revenues from sale of premium 3G airwaves to the extent of around Rs. 1.1 lakh crore and large disinvestment proceeds from stake sale of PSU companies. Both these revenue-drivers might have accumulated approximately Rs.1.5 crore in the exchequer’s kitty. Formally, the entire disinvestment proceeds are to be channelled into the National Investment Fund (NIF) and then utilized for capital expenditure in social sector schemes and revive ailing state-owned entities. Thus, this year, most of these funds should be up for utilization for grass-root social development programs in areas such as primary health, primary education, law and order, family welfare, and so on. 6) Retail FDI – Time to tighten Supply Chain! Most of the recent surge in food prices is either on account of supply crunch in the farm production or hoarding of stock by intermediaries. To deal with the latter case of price manipulation, FDI in multi-brand retail segment could go a long way in supporting the government’s initiatives to de-bottleneck the supply chain hindered by ineffective distribution channel. 7) Excise and Service Tax Cut – Status quo Requested! 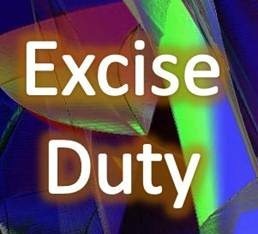 Last year, FM had raised the excise duty to 10% on non-oil products as a part of the efforts to withdraw stimulus and create sources of funds to bring down the extent of fiscal deficit situation. With spiraling inflation and high commodity costs, the corporate India has requested Pranab Mukherjee to cap the excise duty and service tax at previous year levels. Industry chamber Assocham has also urged FM to reduce corporate tax to 25% from the current 30% to maintain current levels of investment and growth prospects. 8) Infrastructure – Work in Progress! Without any dichotomy – the future growth prospects of the Indian economy lingers primarily on the infrastructure investment and timely execution of the projects. Thus, one such initiative would be to develop a huge amount of long-term corpus towards infrastructure development through dedicated debt funds (the most recent example being tax-saving infra bonds). According to RICS India, in order for India to achieve its envisaged 10% growth during the coming financial year, the requirement for sustainable infrastructure development is crucial to provide impetus to the economic activities and achieve optimum resource utilization. 9) Delay in GST Implementation – No Consensus Yet! The Centre had promised the implementation of GST and DTC by April 2011. Amongst the two, DTC is likely to be rolled-out by 2012 (albeit with a delay of 1 year!) as a major indirect tax reform initiative by any previous Indian government. However, the biggest direct tax reform – GST, which in turn would phase out other major taxes like excise duty, VAT, service tax, etc; is mired by lack of consensus between the Centre and the State. In its last-ditch attempt to introduce the reform paper in the Budget session of Parliament without any further delay, the FM has shown the much-needed keenness to align tax proposals for Budget 2011-12 with GST. Will he succeed in reaching a consensus with the States? If yes, hopefully, he does not leave any loopholes open for future manipulation of the tax-structure! 10) Education – Learning is the way to Growth! Growth and education cannot be decoupled from each other. Education leads to higher employment and paves way for inclusive growth across the country. Over the last couple of years, education as a sector has seen various reform measures both at primary and higher education levels. The adoption of public-private partnership (PPP) model in the education sector could go a long way in establishing success and creating a sustainable momentum in long-term. While the government’s role could be that of funding the projects, it is the execution ability of the private sector which needs to be banked upon for the ultimate delivery of the model. So, do you have any wish-list in your mind for Pranab’da? Indian Employees Will Get 9.7% Salary Appraisal, But Where Are The Jobs? INFLATION IS TOTALLY EFFECT OF 5TH AND 6TH PAY COMMISION. If you consider population residing in villages or small towns, earning of 1.6L per Annum is big enough. So no question about tax limit (Anyway it is growing). If government emploies deserve hike in income + private people get benefit by changing jobs let improve their earning. All we have to limit unhealthy trading about food prices. I feel, petrol price was 40 RsPL when I was earning 10k per month, it can be 80RsPL when I am earning 80 RsPL. I have no right to shout when I consume it for my luxury. But a poor man earning 4-5K per month suffers with change in bus fare / train fare. Indeed inflation is not a dirty word. But when it is 8-9% official figure and food inflation is 16-17% then it’s a very filthy word. Inflation of that scale can screw up the currency and the people. Profiteering and greed of traders is one of the major cause of food inflation which can be tamed by some law enforcement by the govt. 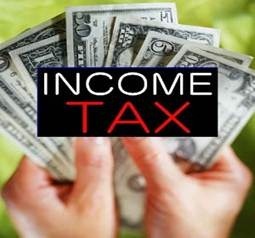 Govt does need to start buy and While the lowest tax bracket at 10% under the DTC regime aims to envelope Rs.2-5 lakh taxable income range from FY 2011-12, the current no-tax limit up to income of Rs.1.6 lakh still provides scope of improvement by another Rs.20, 000 at the lower end income group. this year’s budget should be reasonable in the sense of price regarding cell phones.because of the new technology(android) introduced in many of the cell phones and also the upcoming phones,so i estimate that the cell phone models that were introduced in the last year shall be much more reasonable than their previous price to fit in normal man’s pocket. The DA paid to employees is to offset the rise in cost of living. It is cruel to tax the DA of the employees. I would expect the FM to exempt the DA paid to employees from Income Tax. Only then it will serve the purpose. Otherwise it will be having a negative impact on the effective income. ?????? ?????????-?????? ??? ????? ??????? ?? ?? ???? ??? ???????? ?? ?????? ?? ??? ????? – ????? ??? ?? ??? ?? ?? ?????? ?? ?????????-??????-???? ?? ?????? ??? ?? ?????? ?? ?????????? ????? ?? ???? ?? ?? ???? ??? ???? ?? ?????? ?????? ??? ?? ?? ?? ??????? ?? ??? ??-???? ???? ?? ????-?? ??? ???? ?? ??????? ??? ???? ?? ???? ?? ???????????????? ?????? ?? ?????? ??? ????? ???? ?? ??? ??! ?. ?????? – ??????? ???? ????? ???? ?? ????????? ???? ?? ??? ?? ?. ?????? – ????? ?? ??????? ???? ?? ???? ??? ???? ???????? ?? ?? ??? ?, ????? ?? ???? ?????? – ???????? ?? ???? ?? ??? ??????-??????-??? ?? ?? ????? ???????? ??????? ?? ???? ?? ?. ?????? ????????? ?? ?? ????? ?? ???????? ?? ???? ?? ?????? ??? ??????? ???? ??? ?? ?????? ?? ??? ?? ?????? ?? ???????? ?? ??? ?. ?????? – ???????? ???????? ???? ??? ?? ???? ??? ???? ?? ??? ??? ?. ?????? ?? ??? ???? ??????? ?? ???????? ?? ???? * ?????? – ????? ???? : ???? : ??????-?????? ?. ?????? ??????? ?? ?????? ??????? ??? ?? ????? ??????????? – ???? ??? ?? ?????????? ???? ?? ???????? ?? ????? ???? ?? ???? ?? ???? ?? ???? ????? – ???????? – ????????? – ?????? ?? ???? ?? ??????? ???? ?? ?????????? ???????? ?? | ???? ?? ?????-???????? ???? ?? ?????? ?? ?????? ?? ???????? ?????? ???????? ?? ?. ?????? – ???????? ???? ?????? ?? ?????????? ????? ?? ???????? ?? ??. ????? ?? ???? ??? ?? ???? ??!! ?????? ?, ??????? ?, ????? ?? ????????? ??????? ??! Your view that increasing IT exemption limit will fuel inflation is good. How ever see the other view !! Inflation last year was 9% (lets round it off to 10%). That means your income of every 100 rupees can buy only products worth 90 now. Effectively your salary has become 90 rupees. Still you are paying tax based on 100. See? Till now govt is raising the IT Limit in blocks every 2 or 3 years, while inflation is there every year. The logical way is to raise the IT limit as much as inflation in percentage terms. Now how to control inflation? In fact inflation is not a dirty word. As long as growth is there, inflation will be there as a by product of growth. The magic is to grow more than inflation. How?? Anyway we have failed to control trade deficit for 60 years and have no hope of controlling it. The best way is to give it up. Allow all items which causes inflation with out limit (never mind payments for imports. Atleast we can control inflation at the cost of import bill). If we depress prices, farmers will suffer. So buy farm product at reasonably high prices to support them. (Literally I am telling to the govt to buy high from farmer and sell low to consumer). Govt can grow spine, use its strong international arm twisting tactics and catch as much black money as it can every year (obviously even if we start laying our hands on black money, not all will come in one year. It can be some years, so for some years we can manage the show) to support the above. After few years, people will realize that they can not hide black money and start bringing it into main stream. Once that happens all issues will be solved. May be I am hoping for too much. Quite a wishful thinking there. Problem in hand is inflation and govt did its bit to fuel it in 2009 by bringing 6th pay commission to please the babus. Now increase in IT exemption will only make it worse. Profiteering and greed of traders is one of the major cause of food inflation which can be tamed by some law enforcement by the govt. Govt does need to start buy and selling. Food prices are gradually coming down. Unfortunately, even today a number of print media still manipulate the same old Onion prices of Rs.60 per kg, even as they are now available at Rs.20 per kg freely. Green peas prices have come down from Rs.30 per kg to Rs.20 per kg. Tomatoes prices have softened from Rs.60 per kg to Rs.30 per kg. Okey, let’s not make this comment section a vegetable mandi :) I wrap this comment over here. :) Thanks for the prices. I like green peas. The prices are momentarily down but inflation figure represents what is going on in market over the last year I suppose? No doubt some profiteers will try to abuse the market again. I agree that the inflation is causing trouble all over the world and India cannot escape it but my point is lets not do extra to fuel it. Why dont government just tender targetted subsidy on diesel by asking truckers to get smart card from the transport office free of cost against the registration number which is unique for every vehical, later install card reader on highways to record the movement of the vehical . acess the consumption of diesel they can get a formula which all truckers use to calculate the expenditure of the driver on fuel i.e. 4KM PER Liter. To check the claims of the subsidy there are many checks 1) card swipes across the route; 2) the frieght bills; 3) T.D.S certificates issued at every payment of frieght, which cannot be duplicated as either trucker or the consignee or consigner will be one liable to be charged. For farmers the land revenue dept. should open an account for every land owner in banks and they already record details of crop sown every six month and nothing new need to be done just an formula need to be calculated for the diesel consumption on various types of crops. By doing this government can get P.S.U OMC’S out of the subsidy trap for ever and this can also lead to tracking the goods transportation to check the hoarding to avoid black marketing of essential commodity. Income tax exemption will only fuel the inflation more. Although it sounds nice to be taxed less, in the current inflationary times in India we need less money in the hands of the people. That’s an interesting little view. You say that inflation will create extra liquidity in the hands of people to chase a given set of goods and services. Agreed! Yes, it’s chicken and egg situation.